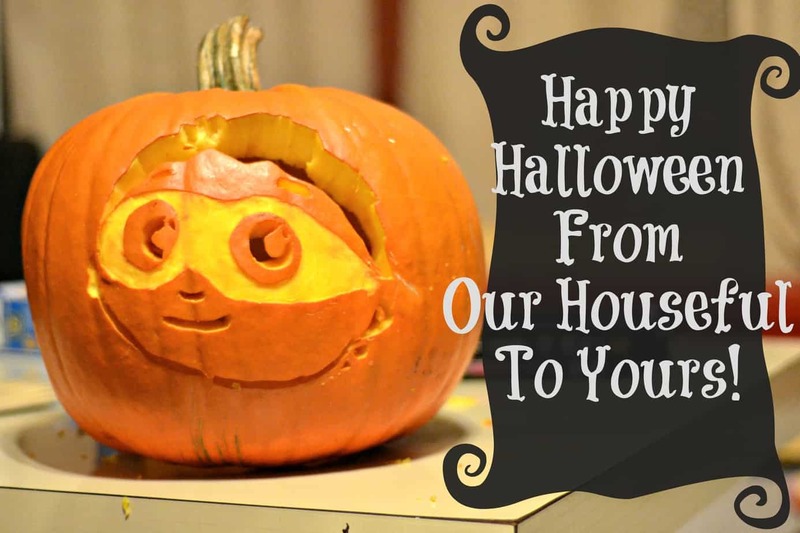 Happy Halloween From Houseful Of Nicholes! It’s Halloween, and as you can guess, our house is pretty into PBSKids, and Sir Twizzler is ESPECIALLY in love with the prize pumpkin above with Super Why carved into it. I’m usually not a big Halloween person, since we didn’t celebrate growing up, but there is something about having kids that make you revel in all things kid again, or for the first time ever. 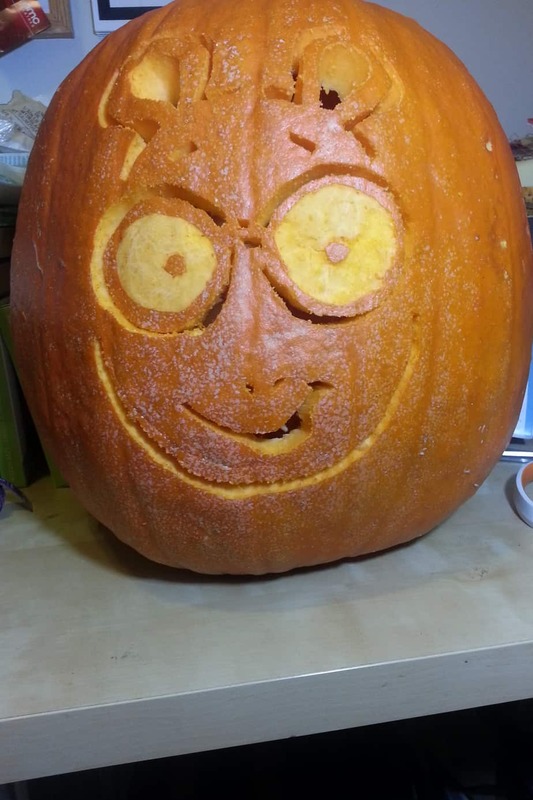 We also did an Arthur pumpkin for this year’s Halloween festivities. I’m kind of proud of my first ever carved pumpkins! I found the stencils on the PBSKids.org website, and decided to go for it. Mr Nicholes also took pity on me, and went out for one of those $5 carving kits (which surprisingly work VERY well) for me. The total time for carving and scooping, and keeping kids from taking things that I need to create magic was a little over four hours. Super Why was definitely the more intricate of the two, and his pumpkin was a little firmer. Who knew that pumpkins needed to have a certain thickness to carve well. Ah, I’ll chalk it up as inexperience and just know for next time. Hopefully, I can have a post up with the little one’s costumes later this evening. but if not, they will be up in the morning! If you’re willing to comment, let me know what your kids will be descending on their neighborhoods as. I’m really excited to see more children becoming really involved in their costume choices AND more parents becoming masters of the DIY for their children. I didn’t think that my kids would like their very obviously handmade costumes (new sew) but I was wrong, and when they saw them, they were estatic. THAT’S what makes it an awesome time for me. The smiles and gratitude for something as simple as felt and hot glue could make. Until then, Happy Halloween and stay safe. Congrats Chicago Public Schools! You Win! Tanisha J Johnson liked this on Facebook. Alisha G. Thompson-Congress liked this on Facebook. Dee Dixon liked this on Facebook. Shonda Giddins liked this on Facebook.